The Booster Club is like the PTO from elementary school. Open to everyone! By signing up you'll receive updates on what is going on at Cary-Grove High School. Our meetings are open to everyone! Please join us! 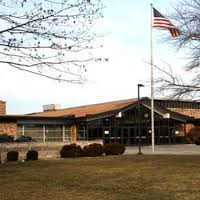 All meetings are held in the Cary-Grove High School Media Center on the first Monday of the month. Welcome to the 2015-2016 school year! We use an online volunteer sign-up format for all of our activities through VolunteerSpot.com. This site does not require that you register or enter any personal information. All available activities have been posted and have been split into "shifts". Feel free to sign up for multiple shifts and multiple days. 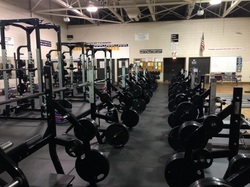 The CGHS weight room weights purchase that was made possible with the assistance of a $16,270.65 Booster Club contribution! Thank you to all of our volunteers that made this donation possible through our fundraising activities. * Buy Spirit Wear through Cary-Grove Booster Club. * Buy Concessions during CG Events. The money we raise is given back to Cary-Grove Students.